Know about me Michele S. Stephan, Esq. 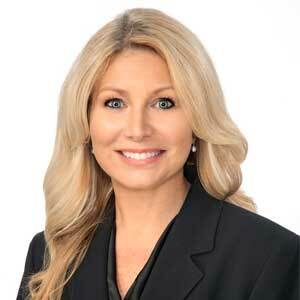 Michele S. Stephan has represented clients in civil litigation for over 20 years. Her experience has included litigating matters involving defective products, defective medical devices, personal injury, violation of nursing home resident's rights, federal civil rights violations, international child abduction under the Hague Convention, and international law matters involving civil theft and fraud. In addition to her trial experience, Ms. Stephan has also handled appellate matters before the Second District Court of Appeals and is a Florida Supreme Court Certified Circuit Court Mediator and a Florida Supreme Court Certified Family Mediator. Ms. Stephan has a longstanding commitment to helping low income and indigent persons in need of legal services. She was awarded the 2017 Florida Bar President’s Pro Bono Award for the Twelfth Judicial Circuit, the 2017 Florida Association for Women Lawyers “Leaders in the Law” award and has been featured by News Channel 8 as an “Everyday Hero” and Sarasota News Network’s “People You Should Know.” She has also been awarded the 2015 Distinguished Community Service Award from the Sarasota County Bar Association, the 2015, 2014 and 2011 Service to the Community Award by Legal Aid of Manasota, the 2008 Member of the Year award from the Sarasota County Chapter of the Florida Association for Women Lawyers and was recognized by the Supreme Court of Florida in 2007 for outstanding pro-bono service. Ms. Stephan runs a weekly legal clinic at the Resurrection House day shelter in Sarasota, Florida rendering legal services to the homeless. She has also been committed to serving the legal profession and the community. Ms. Stephan is a member of the Twelfth Judicial Circuit Pro Bono Committee, a current board member and past president of the Sarasota County Chapter of the Florida Association for Women Lawyers, a past Chair of the Sarasota County Bar Association Alternate Dispute Resolution Section, a past editor of the Sarasota County Bar Association legal newspaper "The Docket," a Master Emeritus of the Judge John M. Scheb American Inn of Court and a member of the Sarasota County Bar Association. She serves as a volunteer judge for Teen Court of Sarasota County; teaches a pro se divorce clinic for Legal Aid of Manasota and gives educational talks to legal and community groups. She has served as a board member of the Suncoast Partnership to End Homelessness and Big Brothers Big Sisters of the Suncoast. Most recently she has joined the Friends of the Selby Public Library as a board member.